yep, that's me on craft wars! 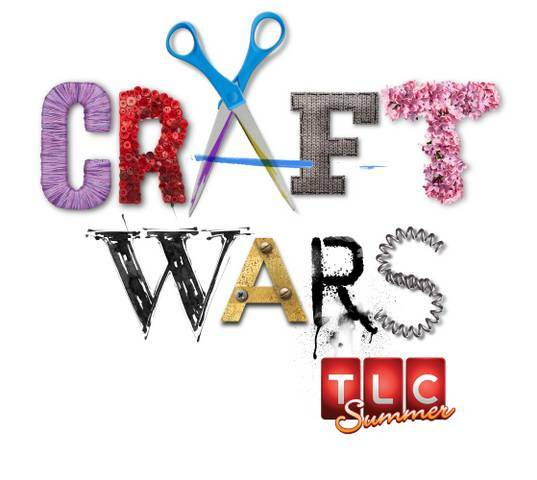 it's true...i am the robin to andrea's batman in the new reality tv show on tlc this summer—craft wars! my dearest crafty sistah, andrea currie, called me one day and asked me to join her in battle. i can't tell you much, but i can tell you being on the show was an incredible experience - we crafted fast and furiously - and the michaels craft closet knocked our glittery socks right off! the series starts on tuesday, june 26 at 10pm (9pm CT) on tlc, but i'm not gonna tell ya when our episode airs...because you're gonna want to watch every tuesday night to catch lots of talented crafters in action, including angela daniels and margot potter. who will win the ten grand each week? tune in to find out! the other night was our monthly atc club meeting at my house...there were just three of us this time, everyone else was doing the summer vaykay thing. our june theme was "whimsy" so i made mine with these cute little flower fairies die-cuts. the background is sparkly pink angelina fibers fused to inked lutradur, which was fused to cardstock. i added crackle medium to their wings which gave them a little curl. click the pics to zoom in. here are some atcs that i received...on the right is cathy's little pup and liz's amore doily (may's theme was pinhole punching). then there's cathy's polymer clay wall-e pendant (april's theme was postage stamps). the two for this month are liz's "bunnyfly" that jiggles on a springy coil, and cathy's cartoon stage; each little character is a magnet that you can move around the metal background.